October 10, 2014 – Each year the Bike-Walk Summit brings together a broad range of partners who are working to make Harrisonburg and Rockingham County a great biking and walking community to live in and visit. For 2014, we focused on bicycle tourism with an exciting keynote address from Ginny Sullivan, Director of Travel Initiatives for the Adventure Cycling Association. Shenandoah Valley: Bicycle Tourism by the Numbers, presentation by Ginny Sullivan, Director of Travel Initiatives for the Adventure Cycling Association. [Videos] The Business Case for Being Bike Friendly and more from Travel Oregon. Check out this great 2:30 minute video on how Bicycling can save Small Towns! How Bicycles Can Save Small Town America – PathLessPedaled.com. September 20, 2013- The 2013 Harrisonburg & Rockingham Bike-Walk Summit built on the momentum from the previous year’s Harrisonburg Action 2020 event, which brought together advocates, planners, and local officials to examine funding possibilities, exchange ideas, and coordinate future priorities for the development of bicycle and pedestrian infrastructure in the Harrisonburg-Rockingham region. 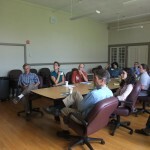 On September 21, 2012, Advocacy Advance – a partnership between the Alliance for Biking & Walking and League of American Bicyclists – hosted an Action 2020 Workshop. Participants of the workshop, hosted by SVBC and the Harrisonburg-Rockingham Metropolitan Planning Organization, learned how to maximize funding in the new Transportation Alternatives program and utilize all MAP-21 funding programs for bicycle and pedestrian projects at the state and local levels. 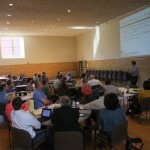 You can learn more about Advocacy Advance workshops and Navigating MAP-21 campaign resources at www.AdvocacyAdvance.org.